Oil obtained from linseed was once used to relieve the pain from burns and scalds. Late-19th century and early 20th century apothecaries mixed linseed oil with calcium hydroxide aka lime water and spirit of turpentine to make a lotion that was applied externally to sooth burnt flesh. Tea made from linseed was also often prescribed as a demulcent to help soothe sore throats and treat pulmonary problems; the seed was also boiled and made into poultices for boils and cases of inflamed skin. 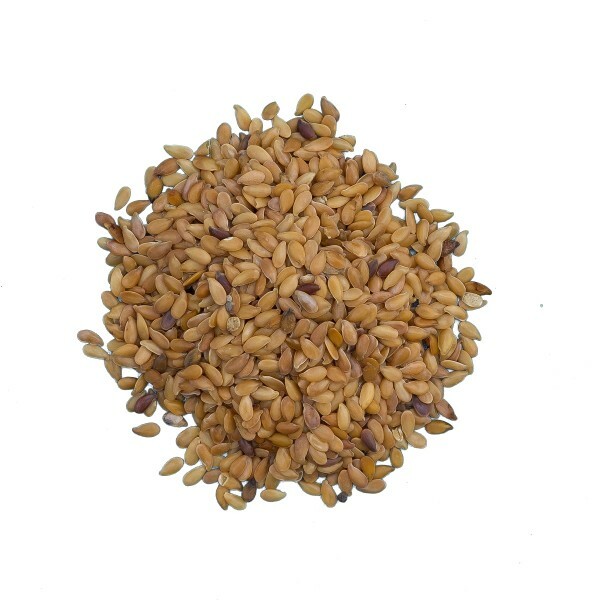 Our Golden Linseed is a tasty way of adding extra fibre to your daily diet. It’s also high in omega 3 fatty acid and is gluten and lactose free, with a variety of delicious uses for adding a flavoursome buttery-nuttiness and crunch to your meals. Ingredients: Whole dried seeds of Linum usitatissimum. Golden linseed can be used in a variety of ways to add to the nutritional value of your meals. Sprinkle on to your breakfast cereal, and stir into yogurt, smoothies and juices. Add to soups and casseroles, they are nice added to dumplings for extra crunch and texture, sprinkle on to cooked vegetables, salads and add to cakes, biscuits and flapjack recipes. They make a tasty topping for breads and pastries and can be used in the same way that you use sesame seeds. Try using golden linseed to make a delicious alternative to sesame tahini!